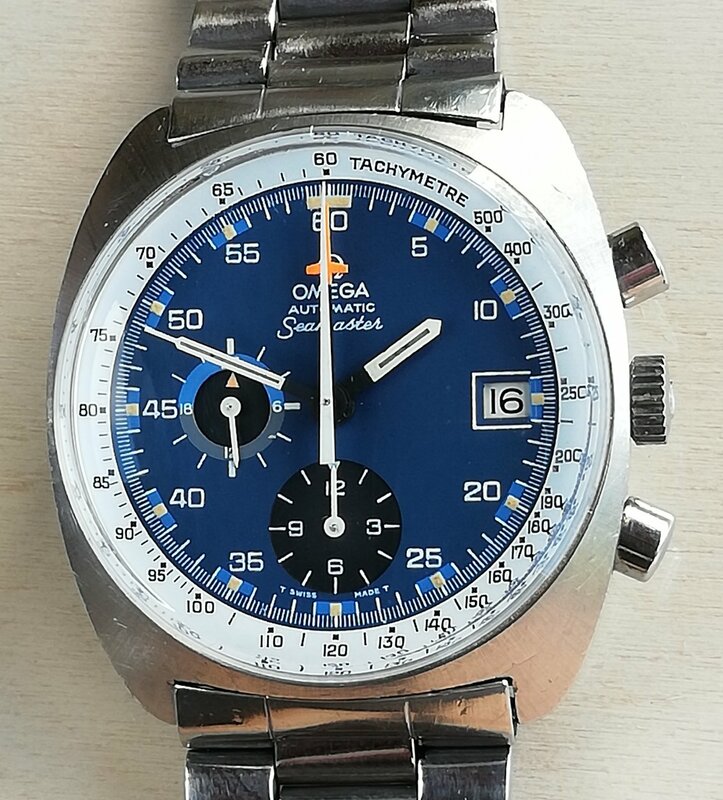 Iconic Omega Seamaster Automatic with beautiful blue dial, stainless steel case and matching stainless steel bracelet. Case: Original, 38mm across, excluding crown. The case presented with the original factory, brushed finish with no signs of polishing. Evident.Hippocampus on caseback pretty visible. Lug width is 22 mm. Signed crown. Dial: Original blue. Patina on hour plots and original tritium hands. High-dome crystal with visible Omega logo in center. Watch winds, sets and runs smoothly and accurately. Quick-set date functions properly. Chronograph runs, stops and resets back to zero. Service history unknown. Bracelet: Omega No. 1170 with “653” stamped end links. Notes: No box/papers. Condition detailed in photos below. This is without a doubt a cool looking watch. Here you will find my offer!